"Just hearing you sing in those heavenly sounds brings me to a whole new dimension. This is how true worship should be." "Makes me want to touch the heart of God - to be real, release emotions that are otherwise held back. Thank you for daring to produce such an emotionally vulnerable album!" 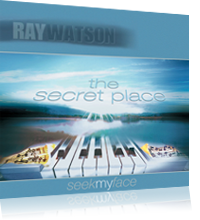 "On this album Ray is confrontingly intimate with God. It will take you on a journey into the Holy Place and draw you to seek God's face." There’s nothing more inviting than a room filled with the sound of beautiful worship - especially when that music also invites the Presence of the Holy Spirit Himself!